On Tuesday, the IAF carried out a ‘non-military pre-emptive air strike’ on three JeM camps, which had reportedly killed nearly 300 terrorists. Srinagar: Five Indian Army personnel were injured on Tuesday in a violation of ceasefire by Pakistan along the Line of Control (LoC). Pakistan carried out heavy shelling in around 12 to 15 places along the LoC, hours after the Indian Air Force (IAF) attacked the terror launch pads in Pakistan’s Balakot. The Pakistani troops allegedly used villagers as human shields and fired mortars and missiles from civilian houses. Among the five Army soldiers who suffered injuries, two of them were evacuated to Military Hospital for medical treatment. Their condition is said to be stable. Meanwhile, the Pakistan Army had also violated ceasefire in the Uri sector earlier on Wednesday morning, said news agency ANI. More details awaited in this regard. On Tuesday, the IAF carried out a ‘non-military pre-emptive air strike’ on three JeM camps, which had reportedly killed nearly 300 terrorists. 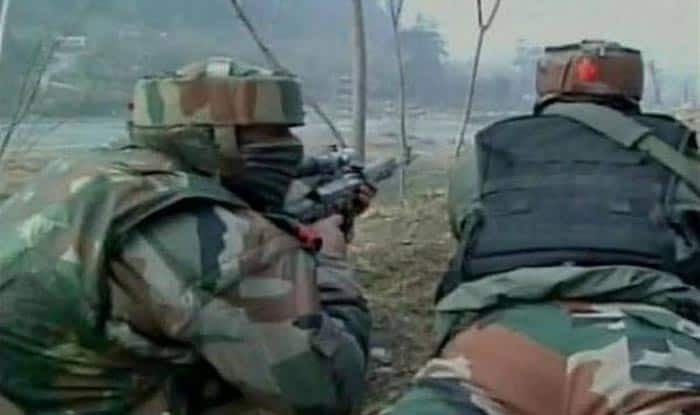 As per the Indian Army, a ‘large number’ of Pakistani terrorists were neutralised, including the top commanders of the terror group which attacked the CRPF convoy in Pulwama on February 14. Launched at around 3.30 am on Tuesday and completed within 21 minutes, 12 Mirage-2000 Indian fighter jets pounded the terror camps in Balakot area of Khyber Pakhtunkhwa province with six bombs. Meanwhile, an SU-30 combat aircraft maintained air superiority to ward off any retaliation by the Pakistan Air Force, sources said. Sources said Prime Minister Narendra Modi, National Security Advisor Ajit Doval, and IAF Chief Air Chief Marshal BS Dhanoa kept a watch on the operations throughout the night till all the jets returned safely. Later, the Prime Minister chaired a meeting of the Cabinet Committee on Security (CCS) which took stock of the situation arising out of the action. Among the targets were Maulana Ammar, who is associated with Afghanistan and Kashmir operations, and Maulana Talha Saif, brother of Maulana Masood Azhar and head of suicide bomber preparation wing, the intelligence sources said. Mufti Azhar Khan Kashmiri, head of Kashmir operations, and Ibrahim Azhar, elder brother of Masood Azhar were also targetted, the sources added. According to the pictures provided by the Intelligence sources, flags of the United States, United Kingdom, and Israel were painted on staircases at the camp.